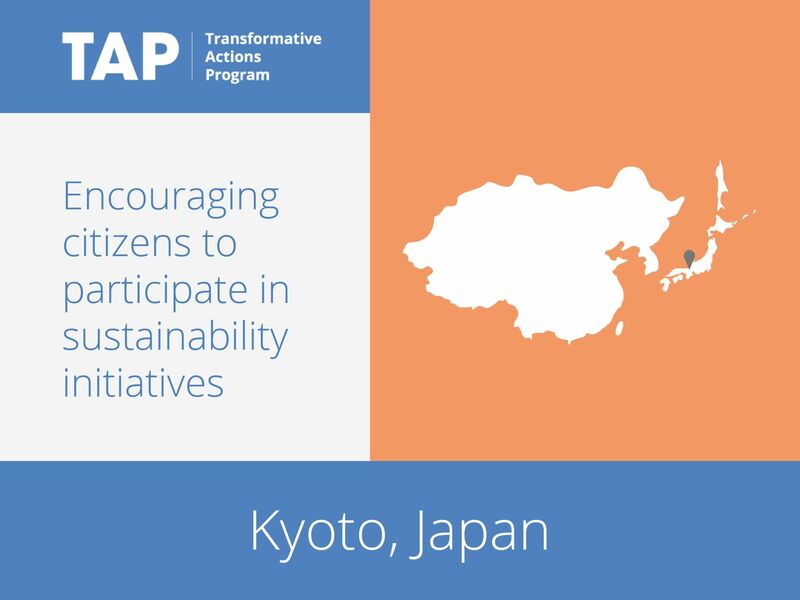 To engage citizens in its drive for sustainability, Kyoto has developed the “DO YOU KYOTO?” project, asking “Are you doing something for the environment?” A range of initiatives have developed in response to the city’s question. The Children Eco-lifestyle Challenge, nurturing children to think critically about their environmental footprint, is being implemented at all elementary schools (168 as of 2014) in the region. The city itself has developed initiatives including “No Car Day,” “Lights Down,” and “Kyoto Light Dinner”, promoting public transport and energy efficiency. Together, these activities help to keep the environment at the forefront of people’s minds, and ultimately to change their lifestyles.